God comes into being as the forefinger of a right hand and as phallic as one could possibly imagine. The rest of him follows soon after. His mode of travel is the motorcycle: I’m sure you can guess the brand. First he makes the road, which is life—Heaven at one end and who knows what at the other, then he populates it with Angels. His particular favourites in this crew? The Archangels, of course. And what’s a crew without some ladies, and a roadhouse? As God and God-who-was-the-Angels make music and love (to various “units” provided by God) and drink of the Scotch, the ever moving finger fleshes out creation. What unfolds is going to tickle the funny-bones of those who are tolerant and anger those who aren’t. 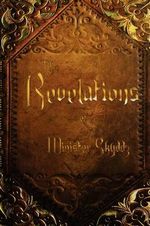 The Revelations of Minister Skyddz is a short version of The Bible (the author promises further installments) offering up all sorts of twists and perversions of the original, including a wicked parody of Adam and Eve and a brilliant rendering of Satan’s story. What a sense of humour! I would have liked to see a little more structural variety in the writing of the verse. If other readers have the same experience I did, Vance’s writing style will lose a number of them. I’d say I was a third of the way through this short book before he really hooked me. With this said, once hooked, I tore through the rest of the story. E. J. Vance claims to be an ordained minister and is quite derogatory regarding organized religion. If this is true, I admire his effort even more. “Revelations” is wicked good!